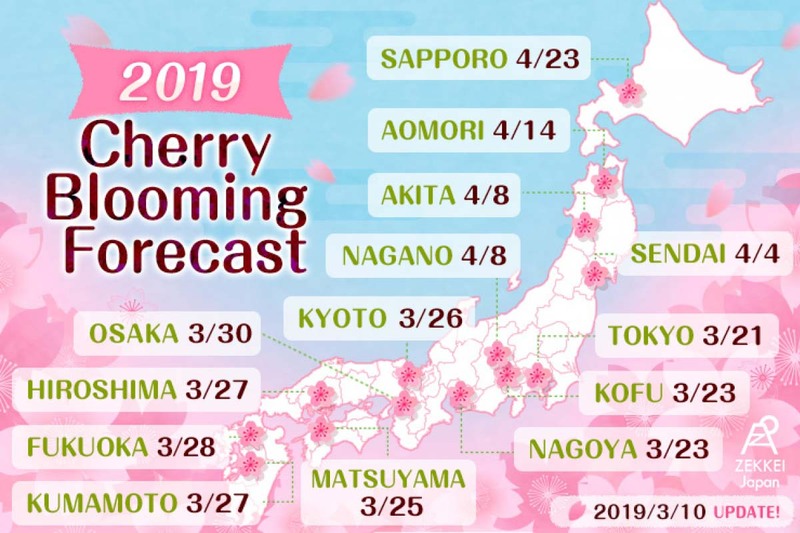 Cherry blooming forecast for 2019 has already been published! Please plan your cherry blossoms viewing from now, referring to the forecast if you wish to go to Japan for cherry blossoms viewing in this year for sure. 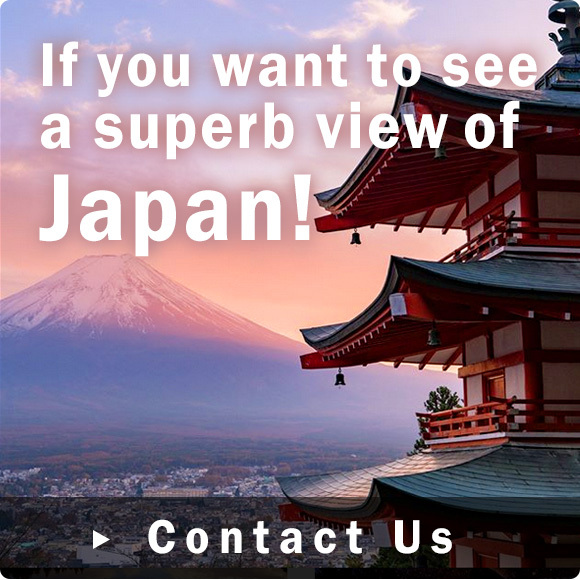 Now, I will introduce you to the superb view spots of cherry blossoms throughout Japan where you surely like to visit in 2019. 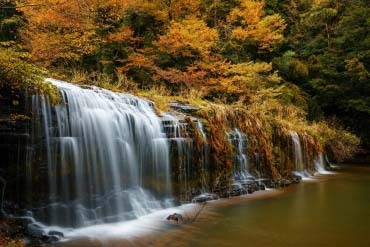 “Shirakimine Plateau” is located around on the elevation of 330 meter. On the hill of as wide as 10,000 square meter, about 100,000 yellow canola flowers dye up the slopes in spring. 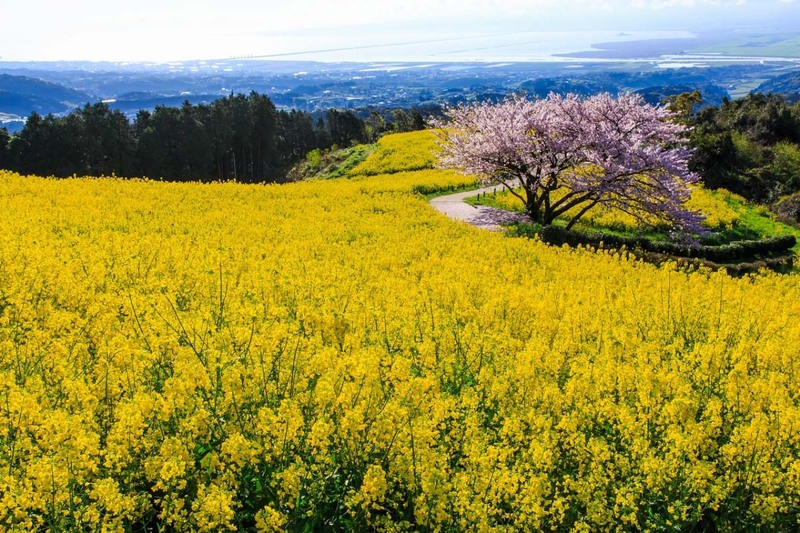 The hill dyed by yellow flowers creates overwhelming colorful beauty putting accents with pink colored cherry blossoms, drawing a center of attention, together with the blue sky. You can overlook landscapes that represent Nagasaki such as Isahaya Heiya Plain, the land reclamation in Isahaya Wan Bay, and Mt. Unzen Fugen Dake, etc., and the landscape harmonize with colorful flowers. 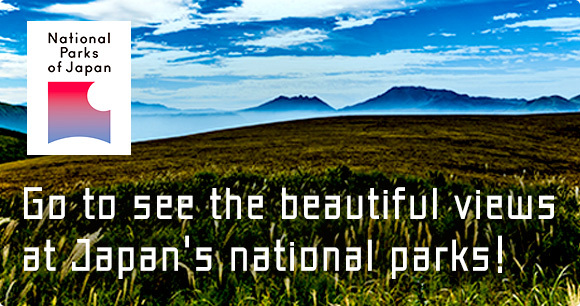 Many tourists visit there every year, for shooting such expansive landscapes. The age of the tree is about 100 years old. 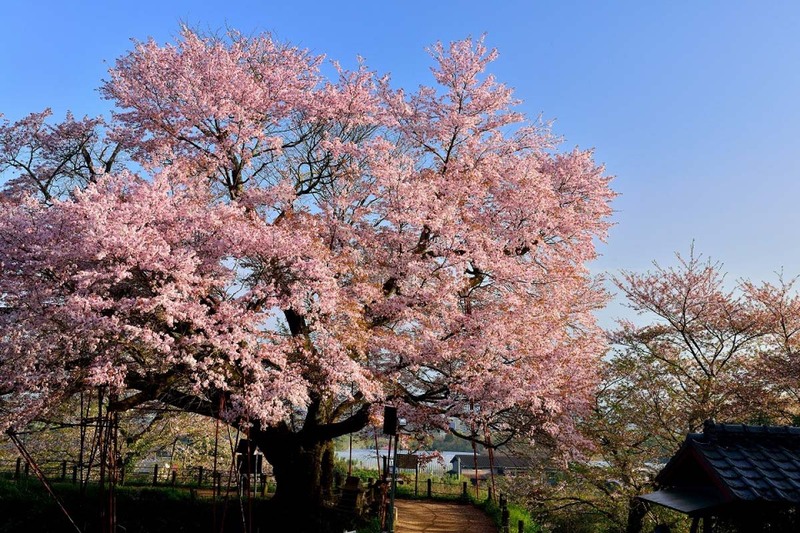 “Cherry Blossom Tree at Asai” is with the girth of 4.3 meter long, and with the height of 18 meter tall, and the shape of tree is spreading as wide as 23 meter. 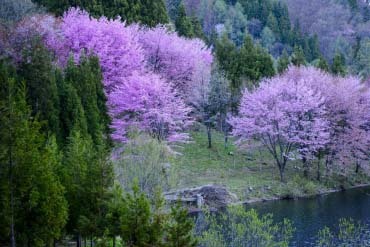 The flowers of the tree are so dense that the tree emits bright pink color, dyeing up the reservoir in bright pink color with a reflection, harmonizing excellently with greens around! 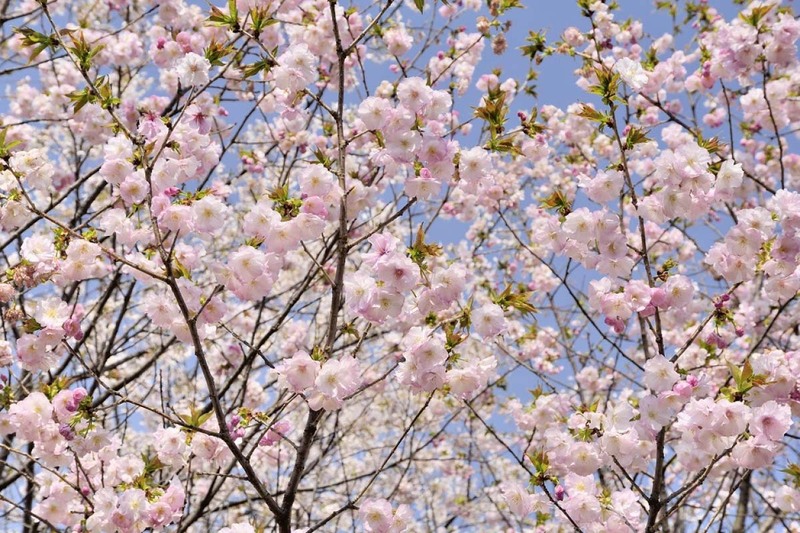 The best time in average year is in early April, and it blooms about 1 week later than the usual cherry blossoms. 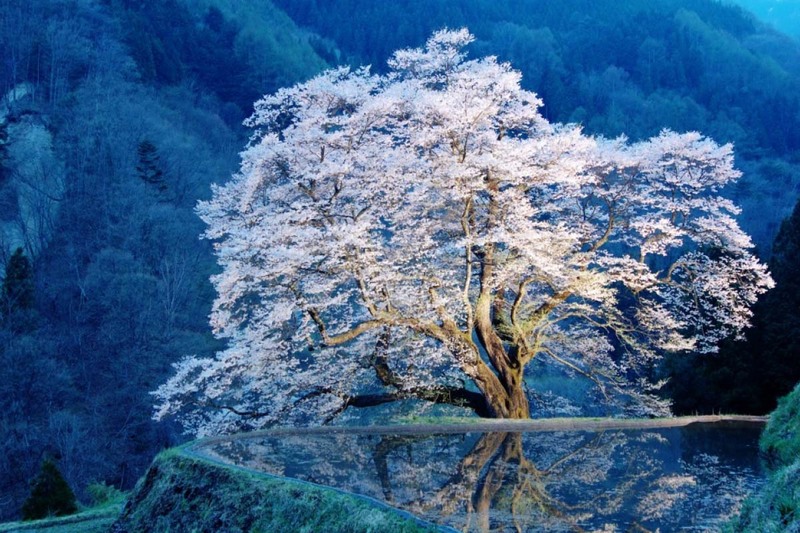 So, it also appeals that you can enjoy viewing consecutively after a viewing of Somei Yoshino cherry. 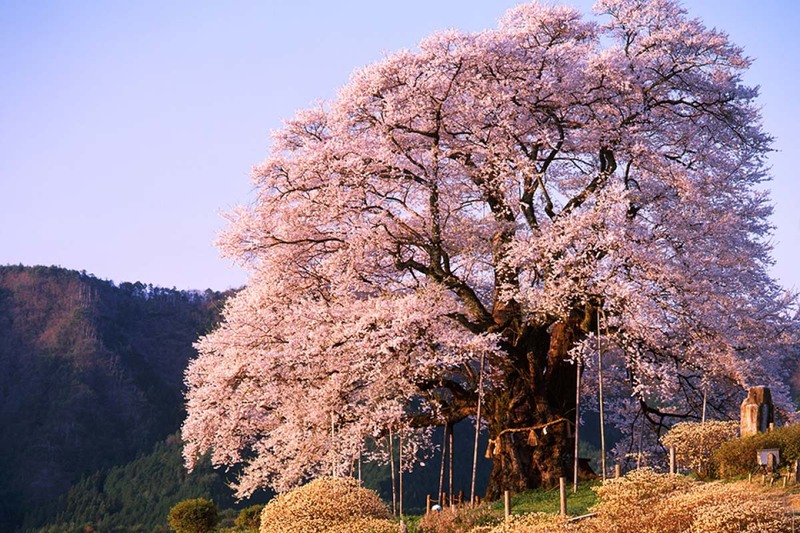 Once upon a time, a wife and vassals have planted the large cherry tree at Isshingyo for mourning the warlord who died in a war. It is said that they named it because they prayed single-mindedly when they planted the young plant. (Isshingyo means praying single-mindedly.) 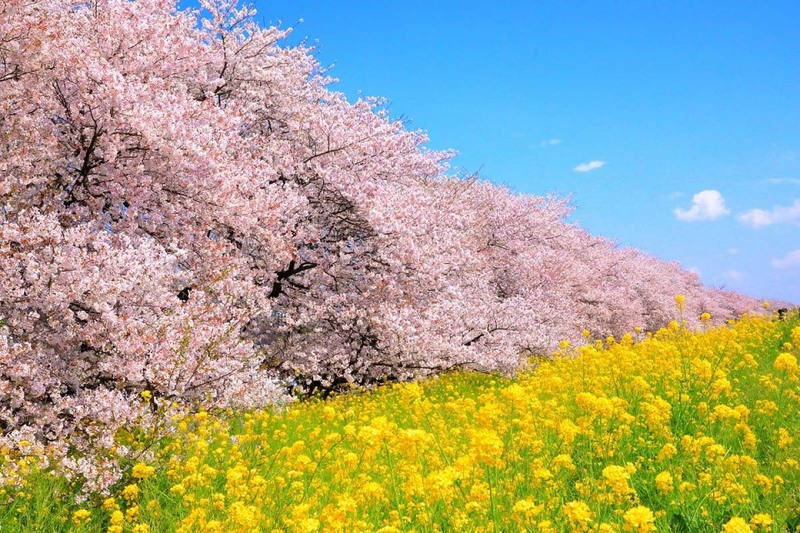 The posture of the extremely overwhelming wild cherry with the height of about 14 meter, the girth of about 7 meter and the shape expanding more than 20 meter long, standing stately alone in the carpet of canola flowers, is definitely a superb view of spring! Shimanami Kaido Expressway, linking Honshu and Shikoku, is popular among cyclists as a sacred place. Hirakiyama Park is located on the elevation of 149 meter in the north west part of Hakata Jima Island, along the cycling road. 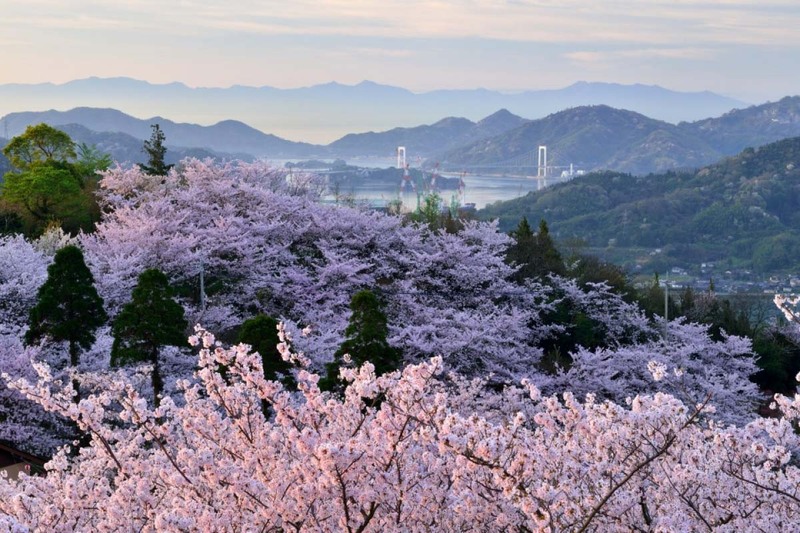 You can overlook the Seto Inland Seas from the park, and you can also enjoy about 1,000 cherry blossom trees. It is a perfect cherry blossom viewing spot. ｜Climbing up on 365 steps, you will reach to the overwhelming arch of pale pink! Well-known and beloved as Kompirasan is “Kotohira Shrine”. About 3,500 Somei Yoshino cherries and other cherries gloriously bloom in the ground. 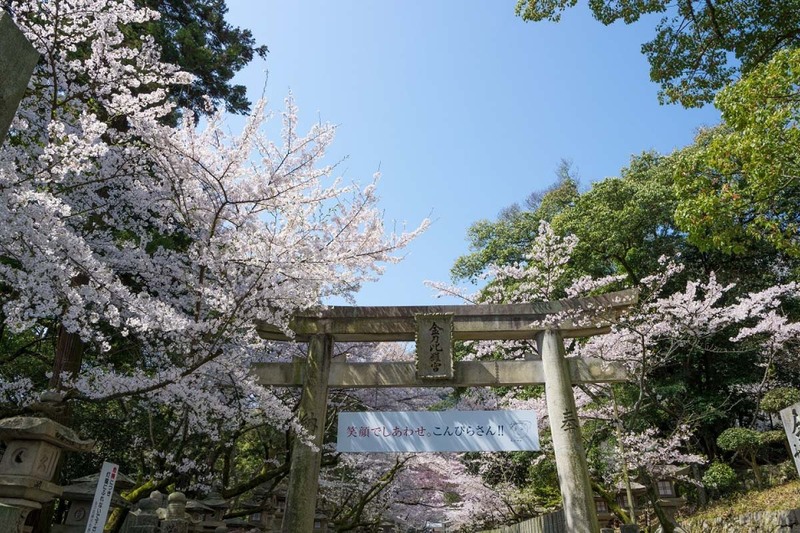 Especially among them, “Sakura no Baba (horse track of cherry blossoms)” is the most famous spot, overwhelmingly shaping an arch like of pale pink along the cobble stone path of 150 meter long from the big gate. You have to climb up on as many as 785 steps to reach Honguu (the main shrine) in the Kotohiraguu shrine, and “Sakura no Baba” is located in the middle at the 365th step. You would need the endurance to reach there. 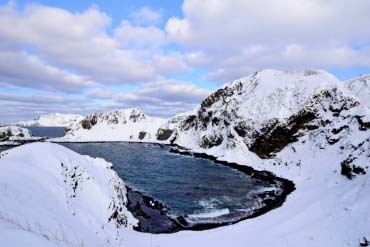 However, such beautiful landscape is waiting for you after such hardship! When in full bloom, there visit many tourists, and some information tell that all the parkings will be almost full even in the early morning of weekdays. However, as the surroundings are open and flat, you can view the tree even from a bit far feeling its power fully. ｜For a goal of Onomichi walk. 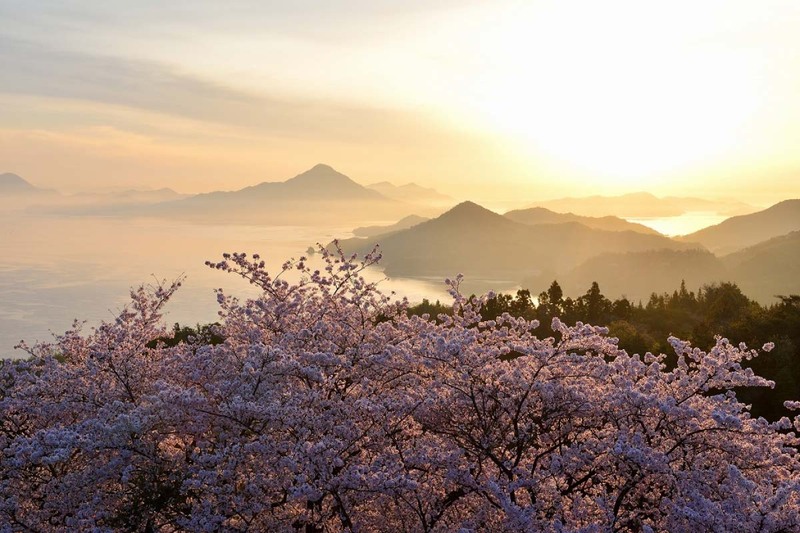 A cherry blossom viewing spot with healing beauty of archipelago in Seto. Slopes are stretching around the town, and many temples and unique shops are crowded along the slopes. Onomichi is a town of slopes. Senkoji Park is located on the highest point of Onomichi. 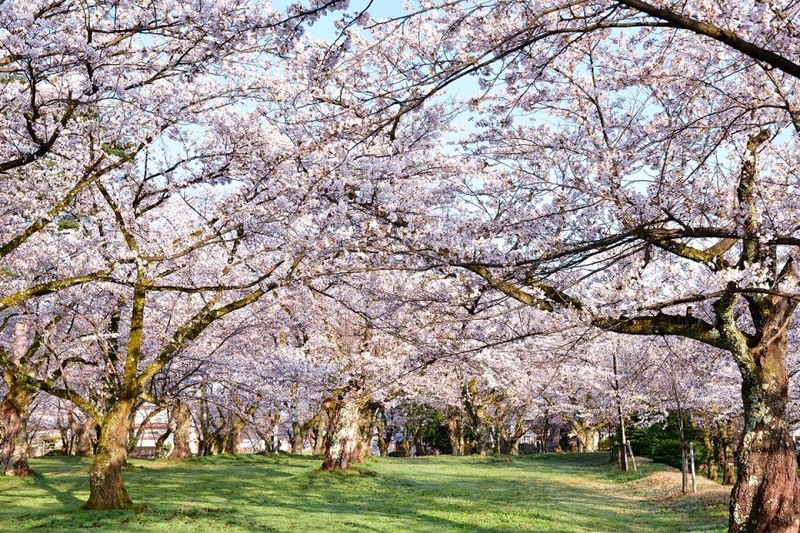 About 1,500 weeping cherries, double cherry blossoms, Somei Yoshino cherries and others bloom gloriously in the park. 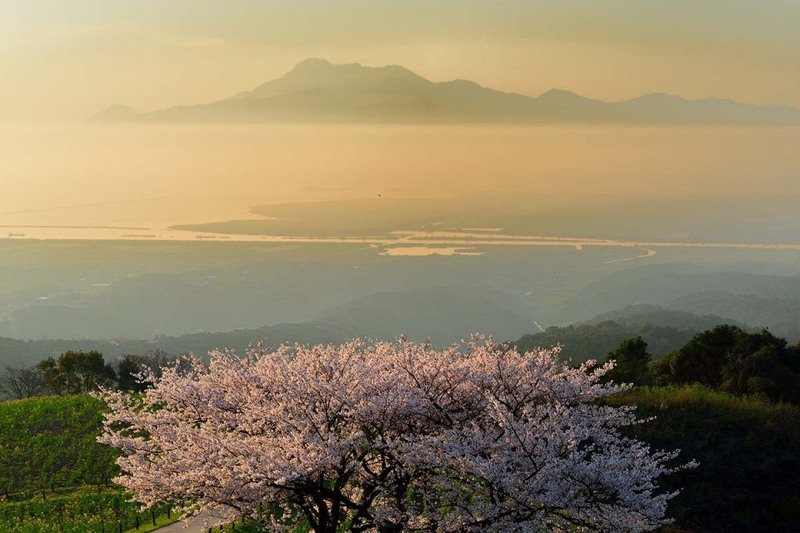 From the observation point on the peak, you can overlook the superb view, created by crowded flowers and many islands on the Seto Inland Seas. 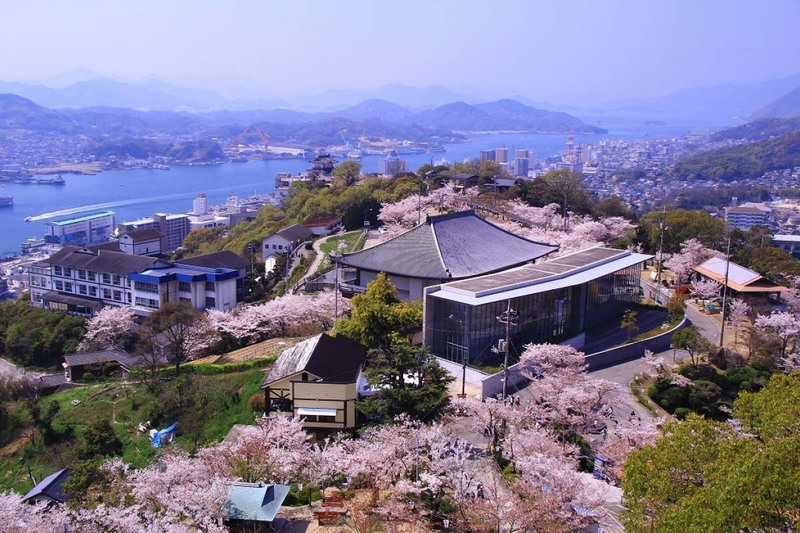 It is a cherry blossom viewing spot as a perfect climax of walk in Onomichi, where is called as Little Kyoto in west. 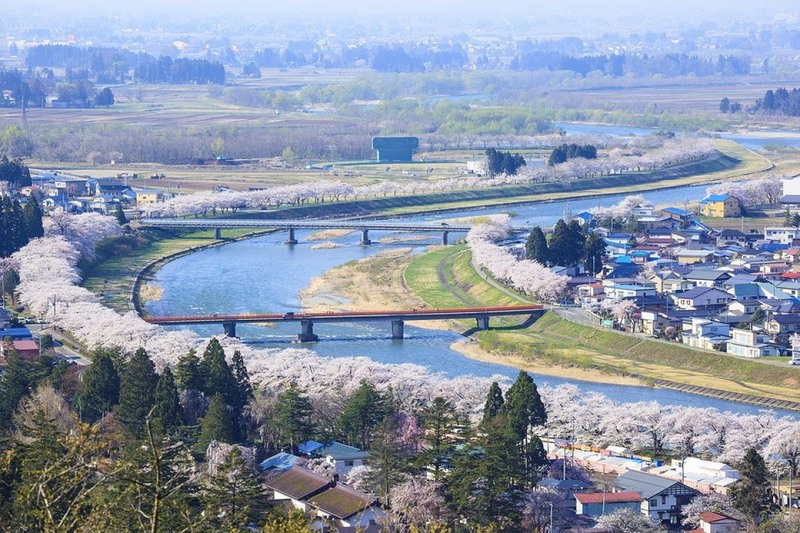 Sewaritei is an embankment built at the confluence of Katsuragawa river, Kizugawa river, and Ujigawa river, where is the starting point of Yodogawa river, and there is a tunnel formed by the lined cherry trees of about 250 Somei Yoshino cherries for as long as 1.4km. 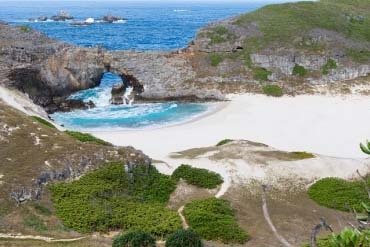 More than 400,000 tourists visit there every year, and the spot is popular across Japan. 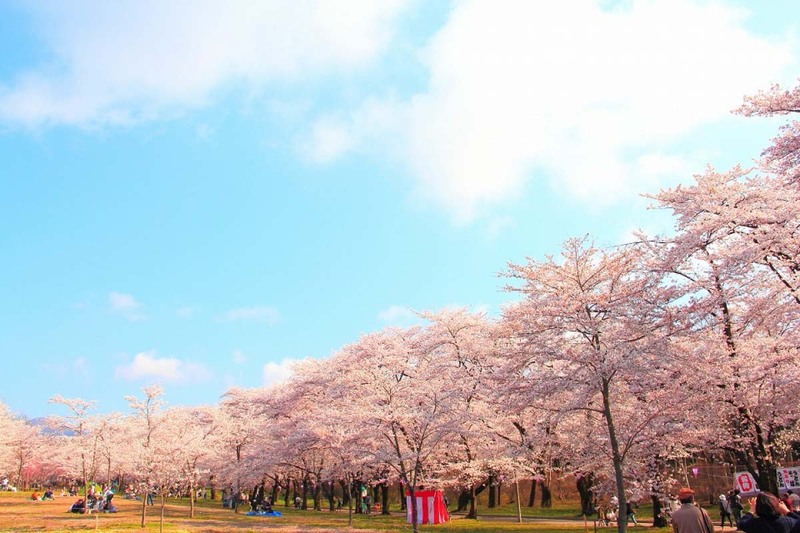 In 2017, “Sakura Deai Kan (The hall of cherry blossoms and meetings)” has opened, with an observation tower of about 25 meter height, from where you can look down the lined cherry trees. When in the tunnel, looking up, when from the observation tower,looking down, you can enjoy cherry blossoms from various angles. 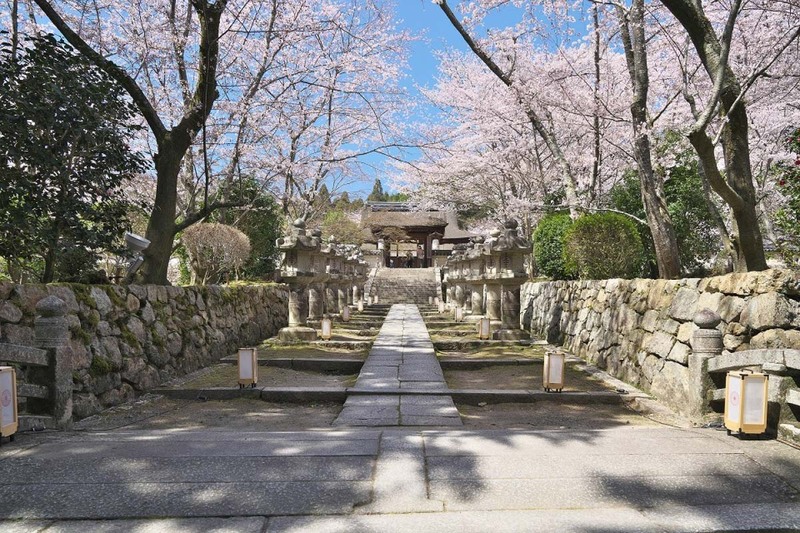 It is said that “Mii Temple” has been famous place for cherry blossoms since the period of Manyo. The temple is officially called as “Onjo-ji Temple”. 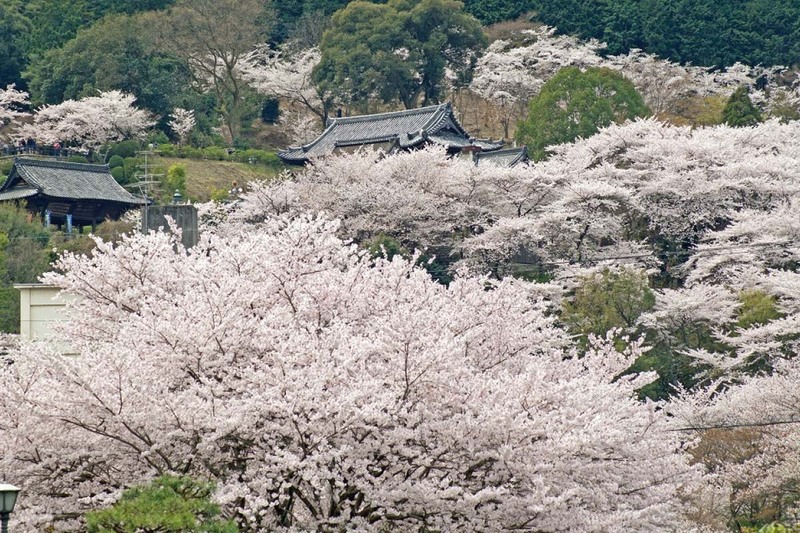 More than 1,000 Somei Yoshino cherries, wild cherries and others bloom truly in glorious in the ground of as wide as 350,000 tsubo (about 1.2 hectare). 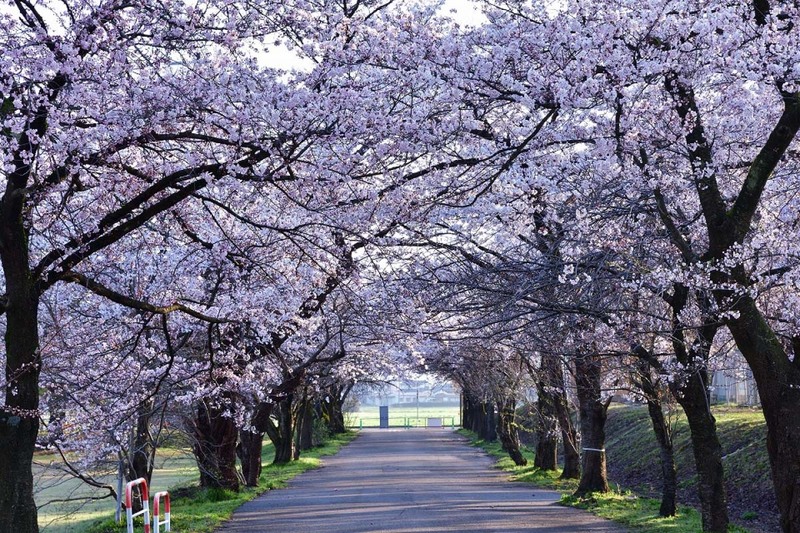 The lined cherry trees along the approach is recommended. The trees are illuminated during the night, and the place becomes mystical, changed from the landscape during the day. The other view point is the three-storied pagoda, which is known for movie shooting of ”Rurouni Kenshin”. 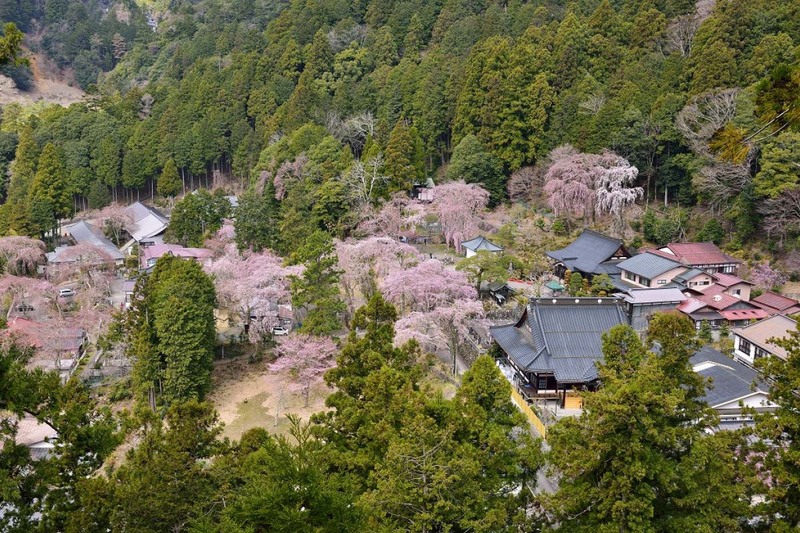 It is a superb view point where you will fully enjoy the spring in the old temple with collaboration by cherry blossoms. 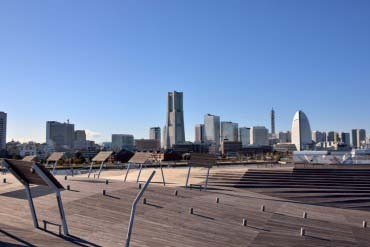 “Kema Sakuranomiya Park” is a river-side park along Ookawa river, representing Osaka, a city of waterways, for as long as about 4.2km. 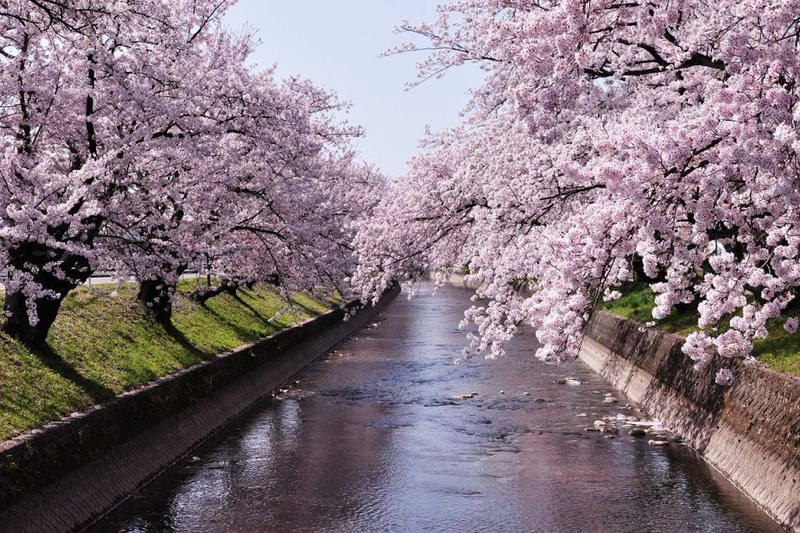 As many as about 4,800 cherry trees such as Somei Yoshino cherry are planted, and the river-side will be completely colored in pink during the best time in late March through early April. 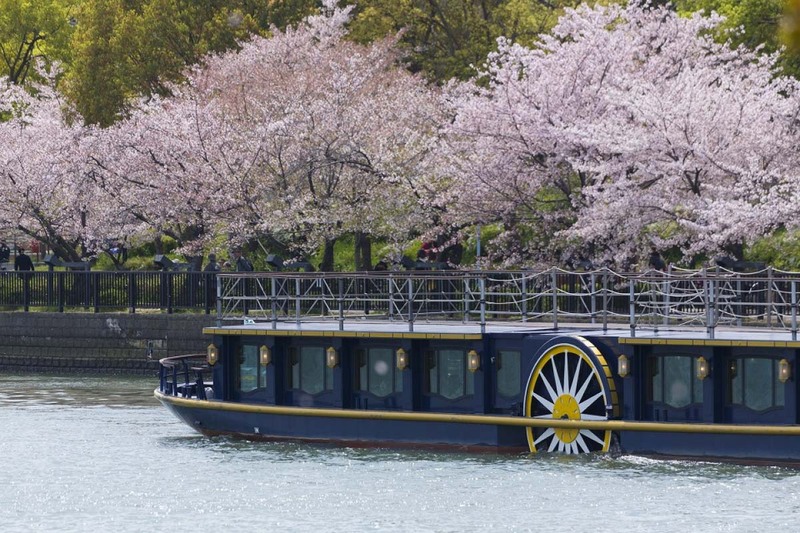 In this famous viewing spot, it is recommended not only walking under the lined cherry trees, but also viewing from a river cruise boat. 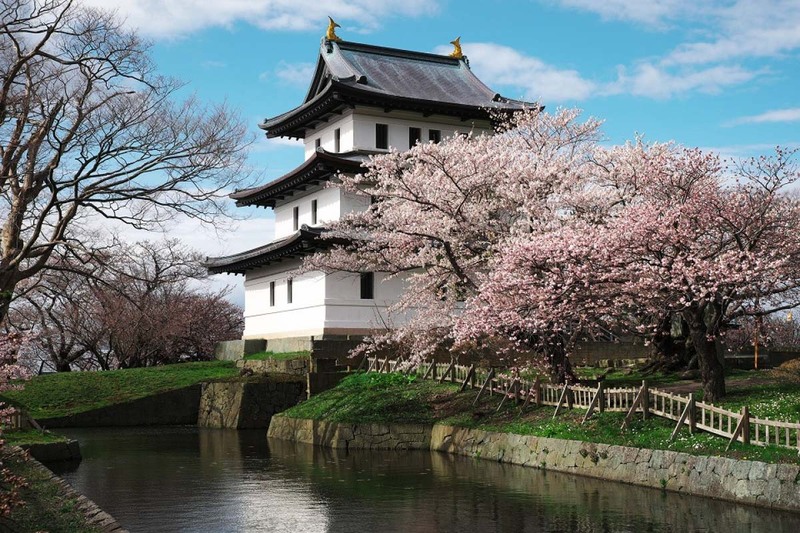 As “Osakajo Castle Kouen Park” and “The pathways lined with cherry trees in the site of the Osaka Mint Bureau”, well known as famous spots for cherry blossoms are nearby, why not enjoy cherry blossoms hopping? 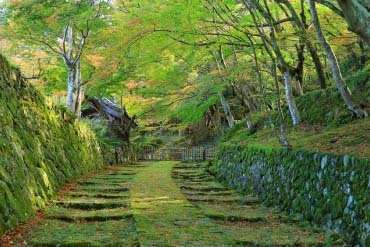 Fujiwara Ancient Palace Ruins is a site of Fujiwarakyuu, the first Capital of Japan. 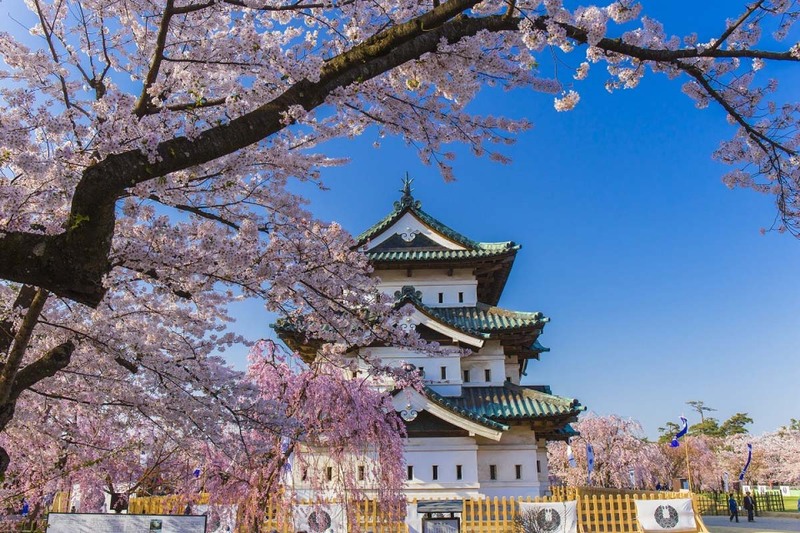 There are many beautiful plants, such as cosmoses and lotus flowers by seasons, in this site of the ancient Capital, and the most beautiful season is when canola flowers and cherry blossoms are collaborating. 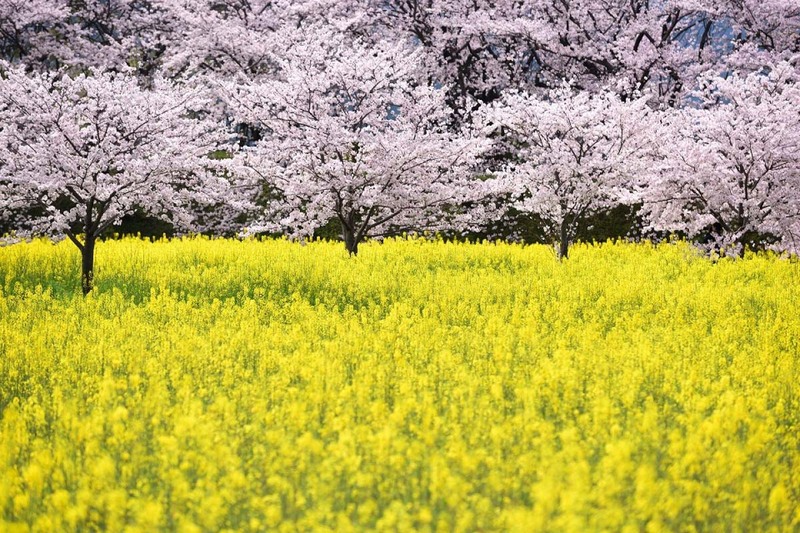 Somei Yoshino cherries pour on the carpet of 2.5 million canola flowers, the beautiful collaboration of pink and yellow colors emerges. There are historical museums around, and it is also recommended to explore the superb view together with the history. 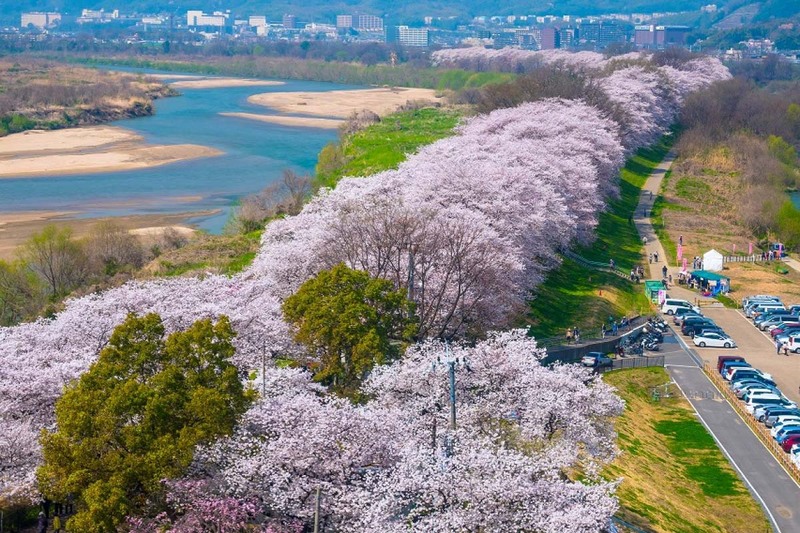 About 1,400 cherry trees are making a beautiful pink colored tunnel for about 7.6km along the sides of Gojo River. 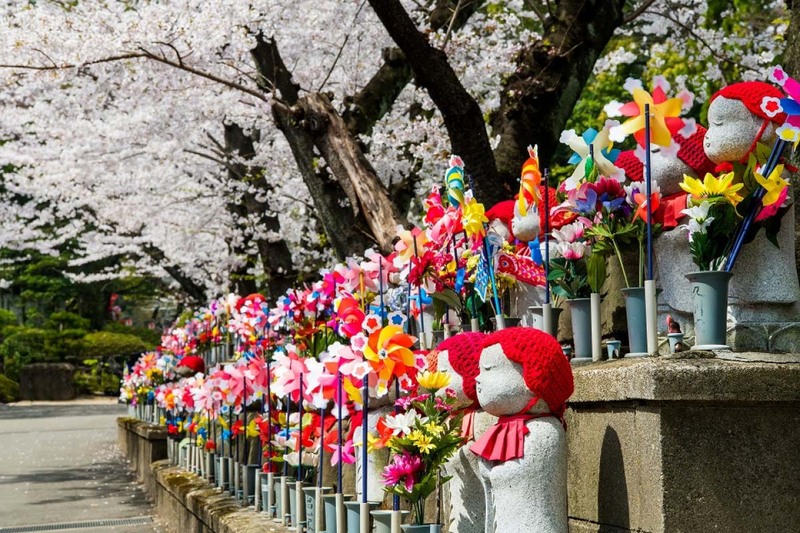 Not only the beauty of lined cherry trees, but “Nonbori arai (washing carp streamers)” during the period of “Iwakura Sakura Matsuri cherry blossom festival” is also a must-see traditional event. In Iwakura city where Gojo River flows, there still remains “Nonbori ya (a house of carp streamers)” where artisans handcraft carp streamers. This “Nonbori arai” is to wash off starch on carp streamers. 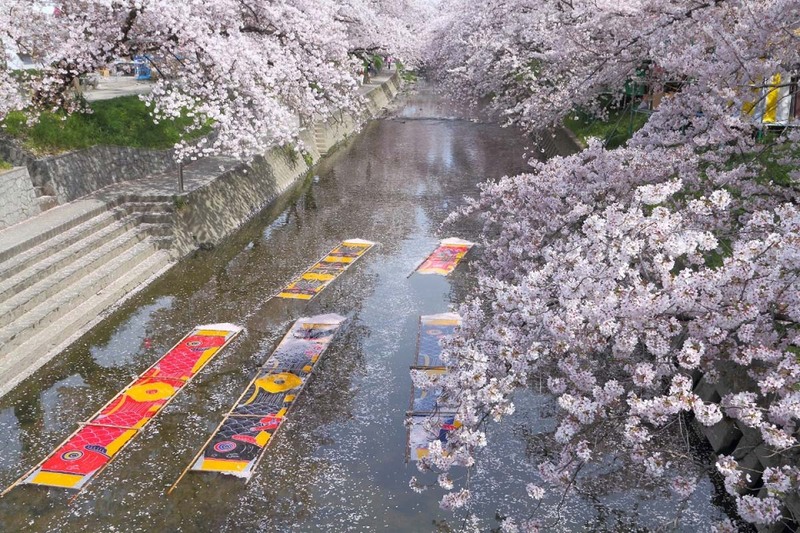 The landscape of colorful carp streamers floating on the river under the cherry trees in full bloom is the feature of spring in Iwakura. 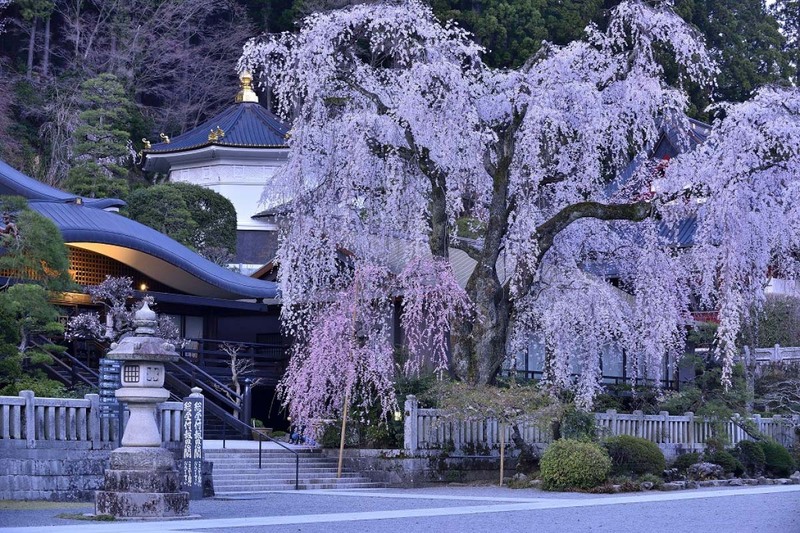 Two weeping cherries bloom together gloriously and show the elegant landscape in Kuon-ji Temple (Minobu-san). Especially, the 400 years old weeping cherry, which is selected as the one of top ten weeping cherries in Japan, is outstanding. 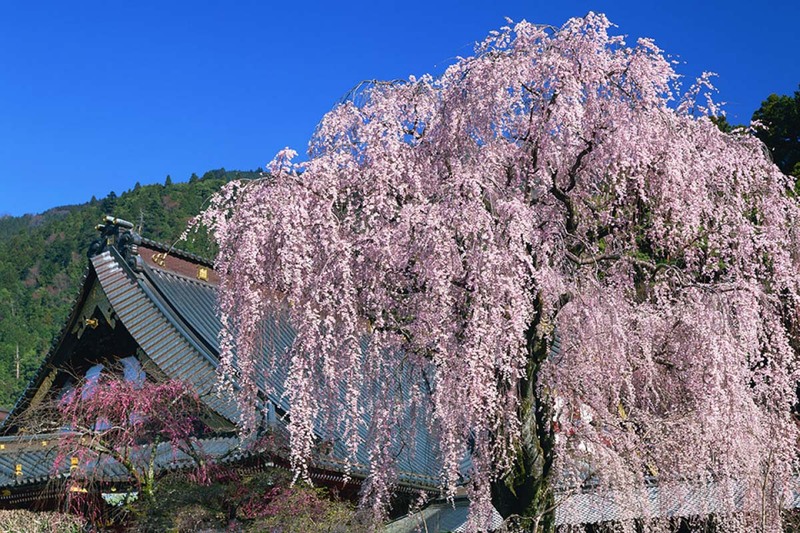 There visit many tourists for shooting the collaboration of Ho-on-Kaku (Return Goodness) House with the overwhelming weeping cherry drooping down to the ground, when in full bloom. Taking a ropeway at the back of Kuonji temple, climbing up to the peak of Mt. Minobusan, and it is also recommended to enjoy a weeping cherry in Minobusan Nishidani. Once, it is said that Minamoto no Yoshitsune, a warlord, tied a horse (koma) to the tree, and the tree was named after so. (Koma Tsunagi means tying a horse.) 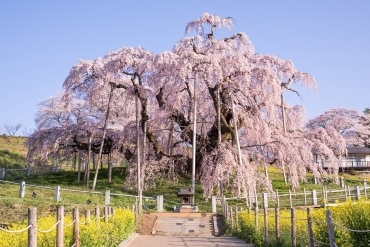 A large 400 years old edohigan (a double weeping rosebud cherry) with about 20 meters height overwhelmingly blooms gloriously as if spreading a fan. 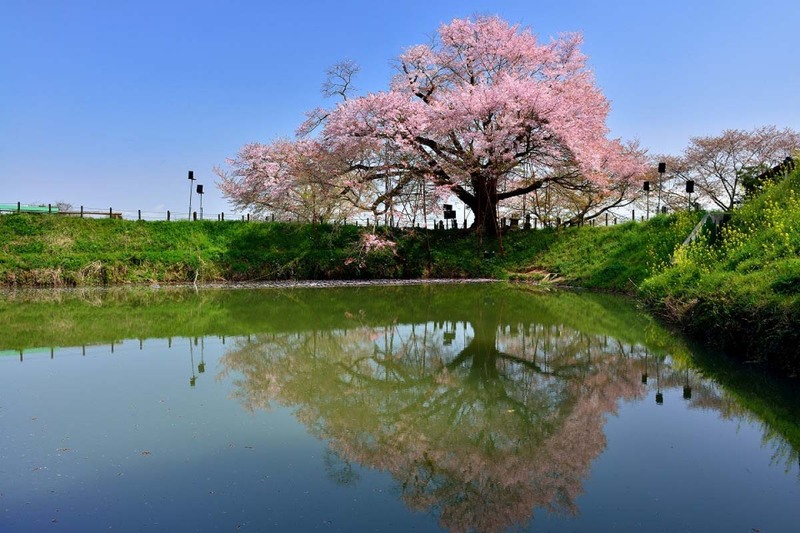 As rice fields at the sides of the tree filled with water during the period of full-bloom, the cherry blossoms are reflected on the surface of water. It adds more beauty in the landscape. 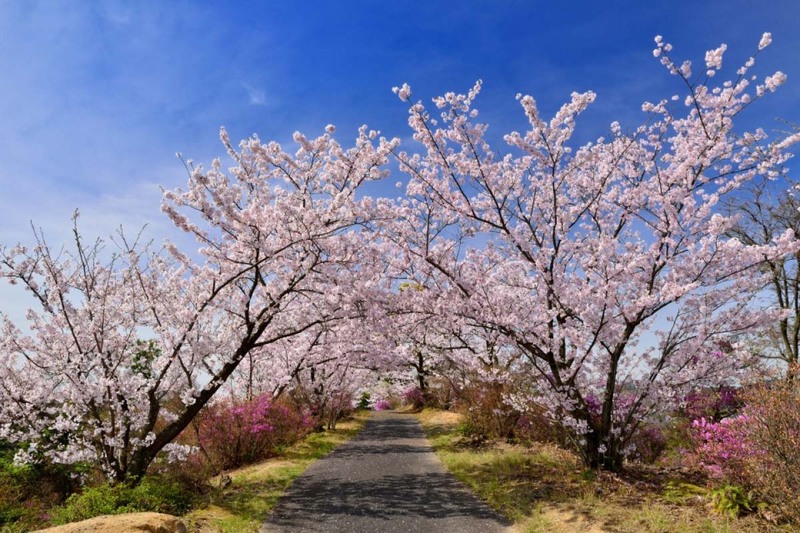 ｜Various species of 3,000 cherry trees, including not only well-known Somei Yoshino cherry but also rare species, are gloriously blooming together! “Muramatsu Park” in Gosen city has been built for the memorial of the Russo-Japanese War in 1906. 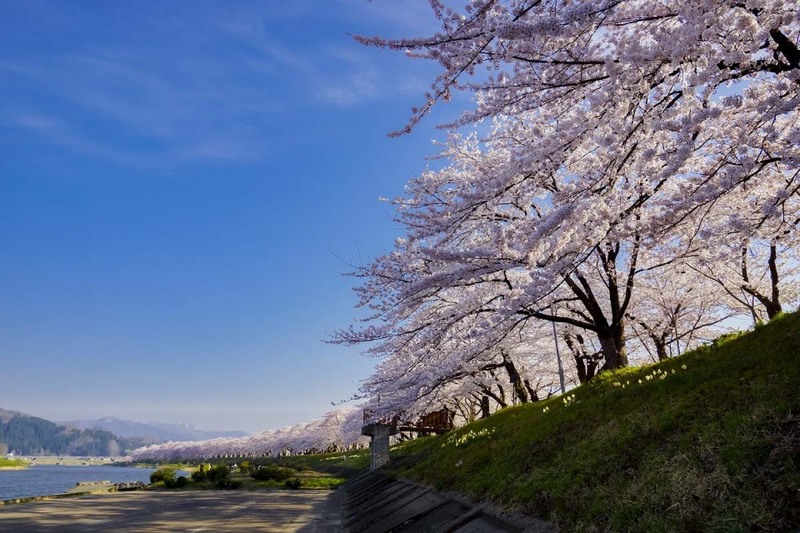 The park is the famous cherry blossom viewing spot, selected as “one of Japan’s top 100 Cherry Blossom Viewing Sites” and as “one of Niigata’s top 100 Viewing Sites”. During the middle of April, the best season of the park, about 3,000 cherry trees of various species, such as Somei Yoshino cherry, Yoko of deep pink color, Hozaki higan yaezakura of a rare species, a weeping cherry, bloom gloriously together, and these flowers dye up the park in various colors of pink. 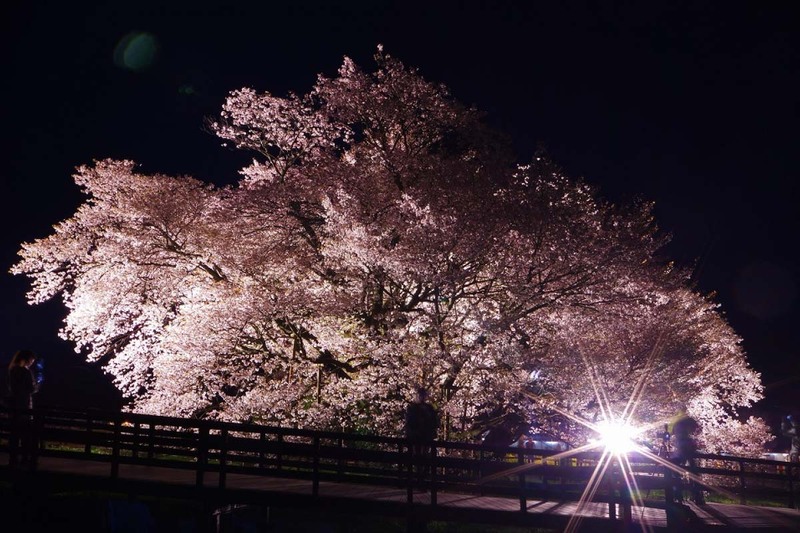 During “Muramatsu Park cherry blossom festival” held in early through late April every year, the cherry trees are illuminated and you will be fascinated by mystical cherry blossoms at night. Zojo-ji Temple in Minato-ku, Tokyo, is known as Tokugawa’s family temple and has a long history. 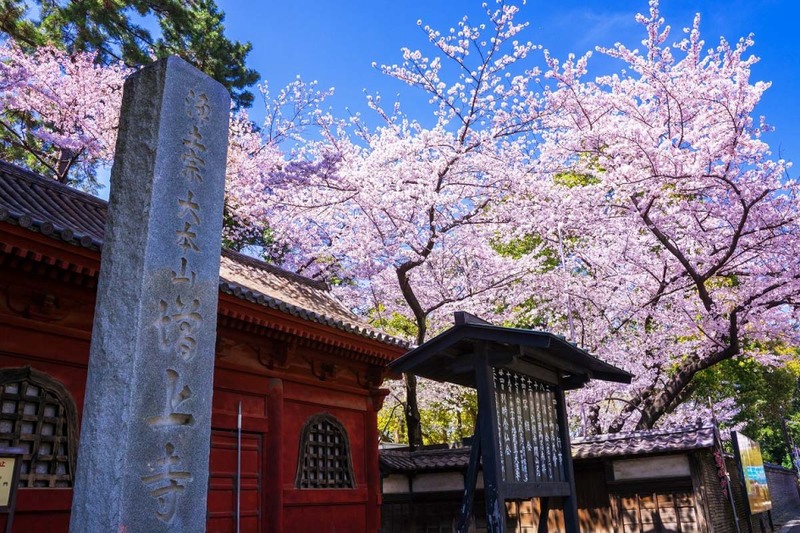 When entered in the ground, you will find outstanding weeping cherries in the background of the largest in the Metro Tokyo and majestic main temple together with Tokyo tower, and about 200 Somei Yoshino cherries gloriously bloom in the ground. The best period is from late March through early April. 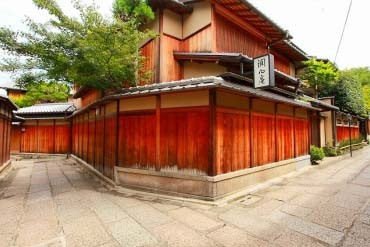 Other famous spots around the temple, such as “Shiba Kouen Park” and “Hamarikyu Gardens”, have also the same best period. 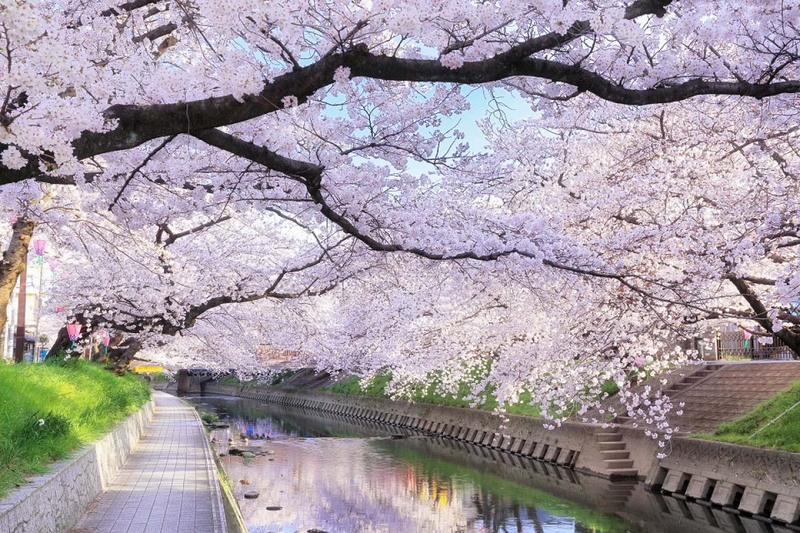 You will fully enjoy the cherry blossoms in Tokyo if you hopping around such spots. “Sankei-en Garden” is located in Naka-ku, Yokohama city, and is the Japanese garden of 4 times as wide as Tokyo dome stadium (about 180,000 hectare), has many historical buildings originated from Kyoto and Kamakura, scattered around in the ground. 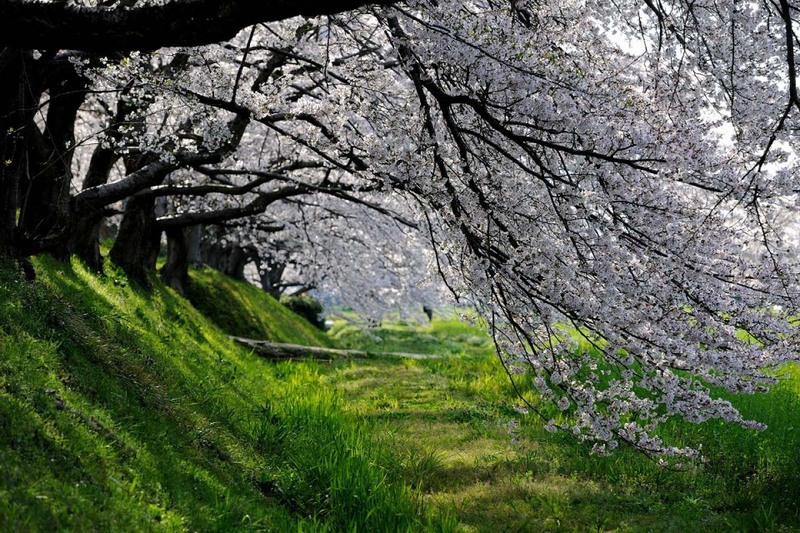 In the gardens are about some 300 cherry trees planted and a tunnel of cherry blossoms that continues for 500 meter long. The best time is from late March through early April. 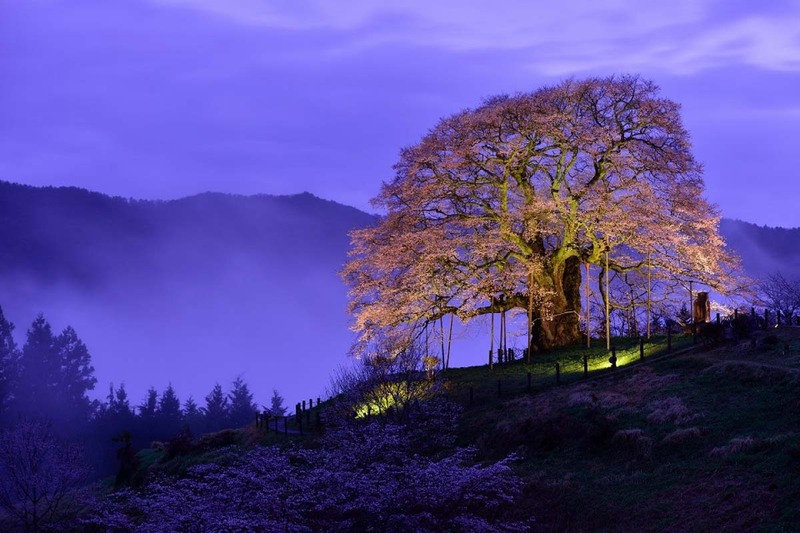 “Cherry blossoms viewing night” is held during the best period every year (scheduled from March 22 (Fri) through March 31 (Sun) in 2019), and the trees are illuminated. “Tomyoji temple former three story pagoda”, the national important cultural property, and the illuminated cherry blossoms are reflected on the big pond, and such landscape is indeed mystical. 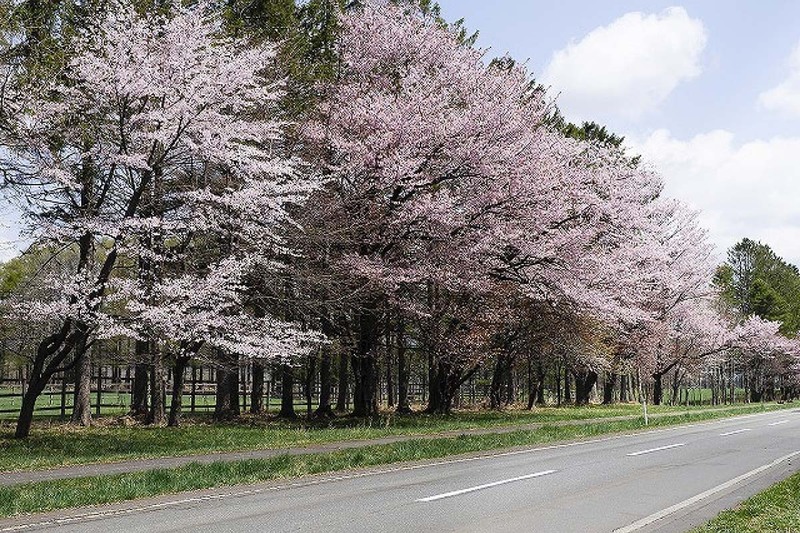 About some 500 Somei Yoshino cherries are planted on “Cherry Blossoms at Kumagaya Sakura Tsutsumi” for about 2km along Arakawa river. 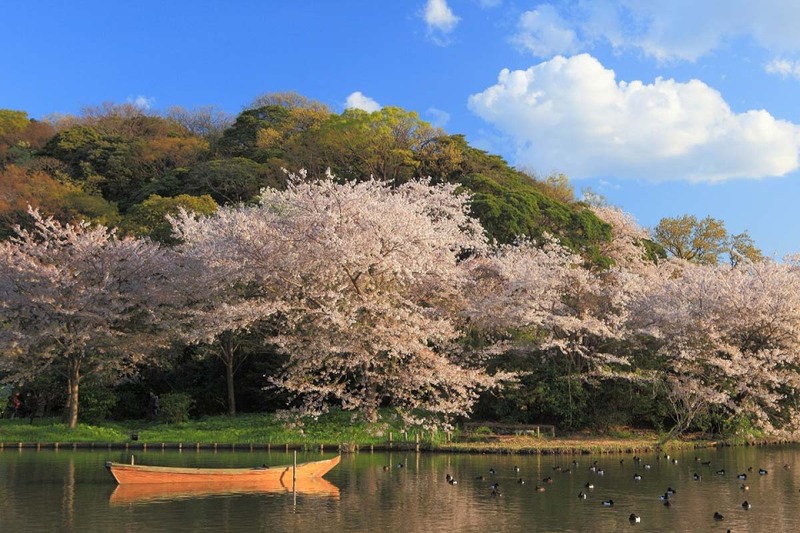 Known as famous spots for cherry blossoms since Edo period, it has been selected as “the one of top 100 Cherry Blossoms Famous Spots”. 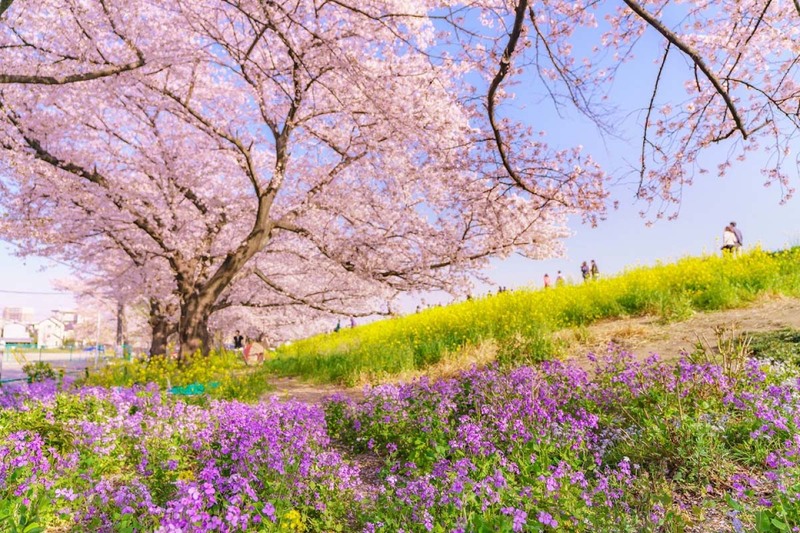 As canola flowers are also planted on the embankment nearby lined cherry trees, contrast among pink of cherry blossoms, yellow of canola flowers, and green of the lawn is bright. 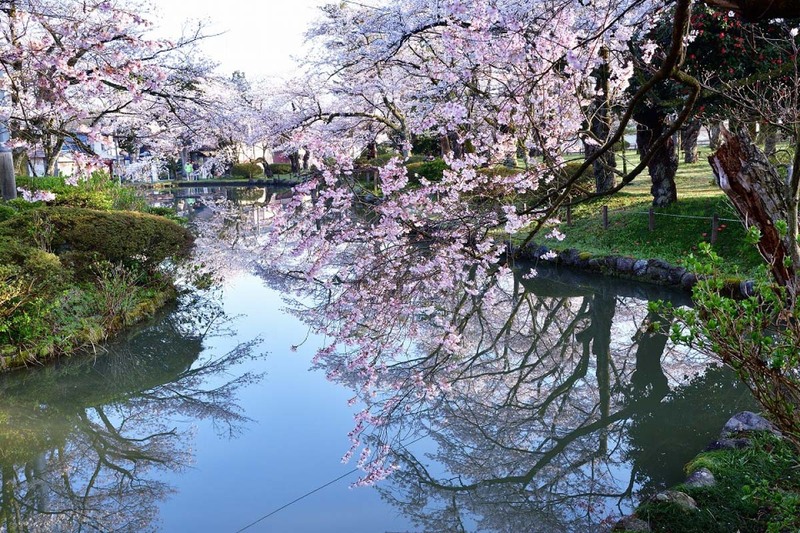 During late March through early April, the best time for view, “Kumagaya Cherry Blossoms Festival” is held. 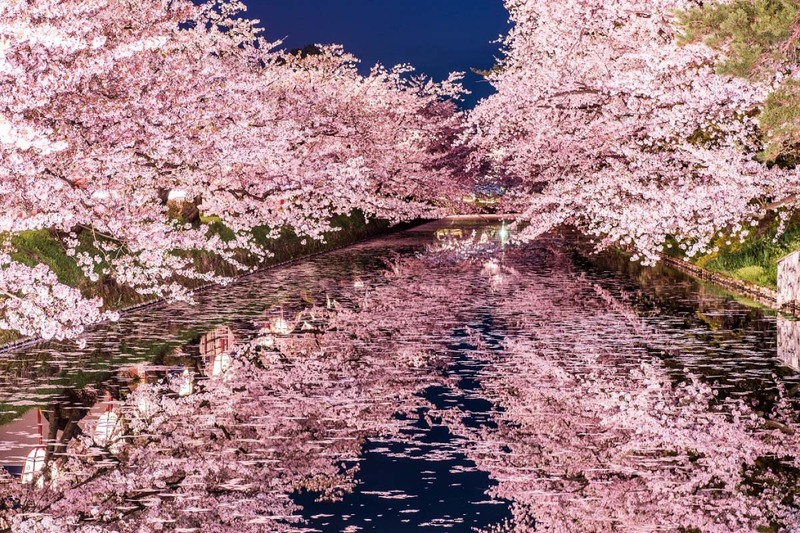 A cherry blossoms tunnel is illuminated at night with full of romantic moods. 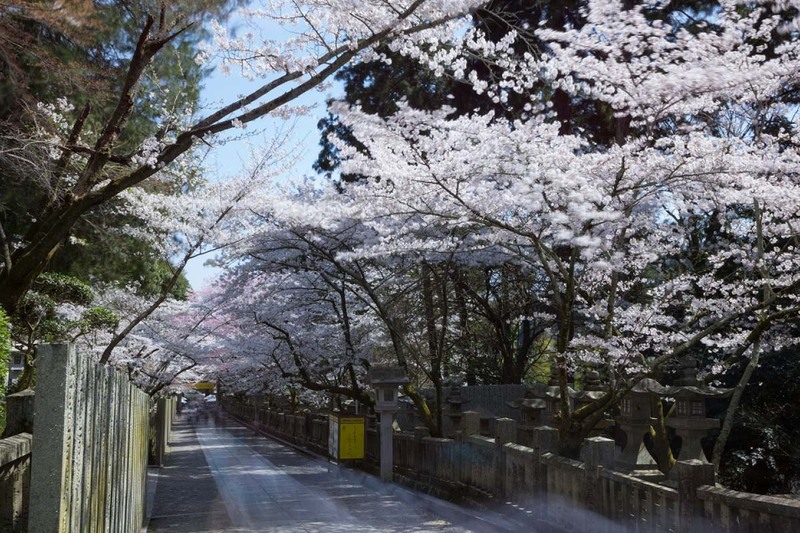 “Akagi Nanmen Senbonzakura (Cherry Blossoms at Akagi)” in Maebashi city, Gunma prefecture, is the cherry blossom tunnel of about 1,000 Somei Yoshino trees, blooming in full glory on the sides of a city road that continues on for about 1.3km. 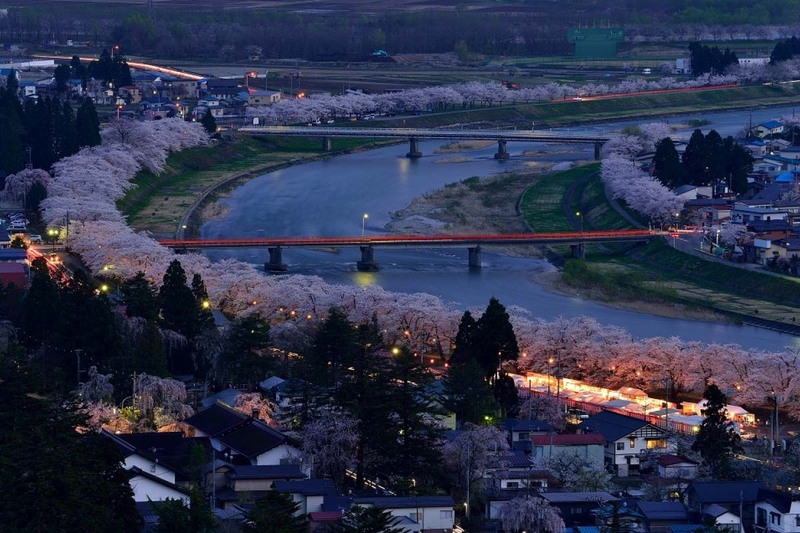 It is selected as “the one of top 100 famous cherry blossom spots”. “Akagi Nanmen Senbon Zakura Festival” is held every year from early through the middle of April, the best period for flowers. 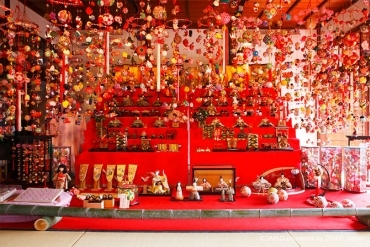 Events, such as markets of local products and folk performances, are in the festival. 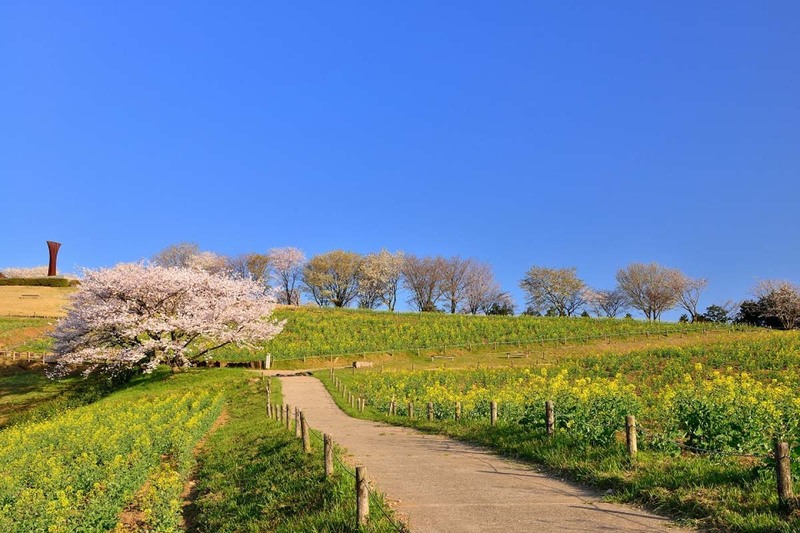 In “Miyagi Senbon Zakura no Mori (a thousand cherry trees in a forest of Miyagi)”, a neighboring park, about 37 species of 500 cherry trees and canola flowers are blooming together. The scenery is overwhelmingly excellent collaboration. Once there was Nichuu Line of the National Railway here, linking between Kitakata station and Atsushio station, carrying many people. The promenade of 3km long has been built on the site of Nichuu Line. 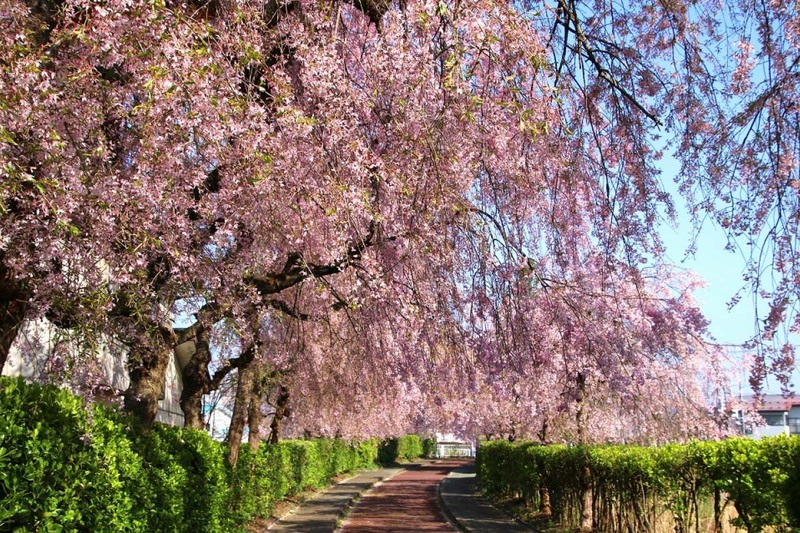 Along the promenade, about 1,000 weeping cherries are planted, creating a magnificent pink tunnel. A steam locomotive, that once ran on the line, is exhibited. 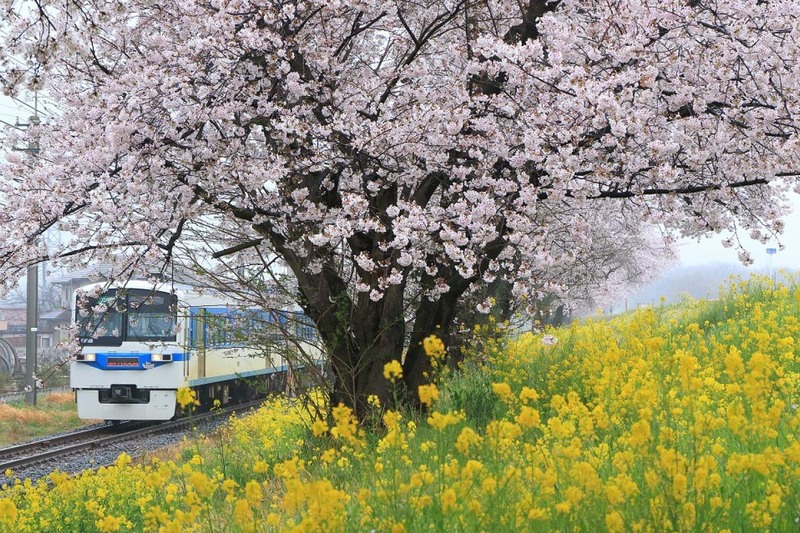 Many tourists visit here for shooting pictures of such photogenic superb view, a black steam locomotive and pink cherry blossoms. 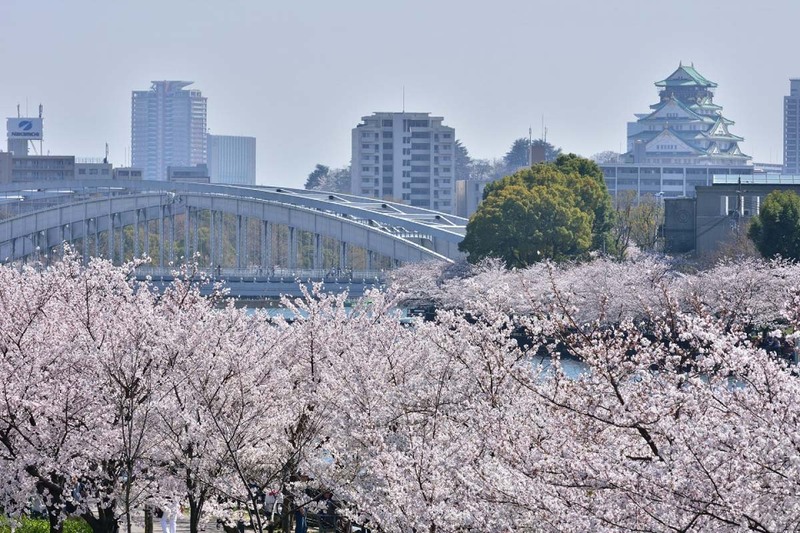 About 400 Somei Yoshino cherries bloom elegantly in the lined cherry trees of Hinokinai river, continuing on for about 2km. 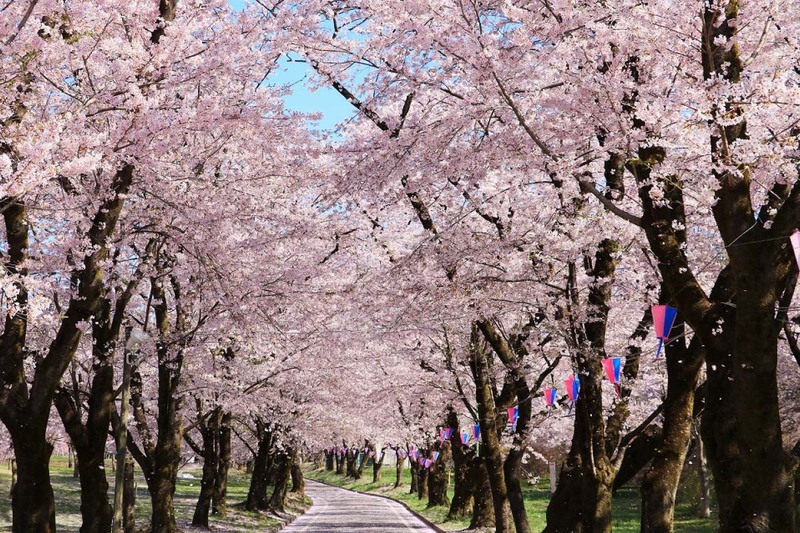 The high density of cherry trees creates pale pink tunnel that is perfect for a spring walk. 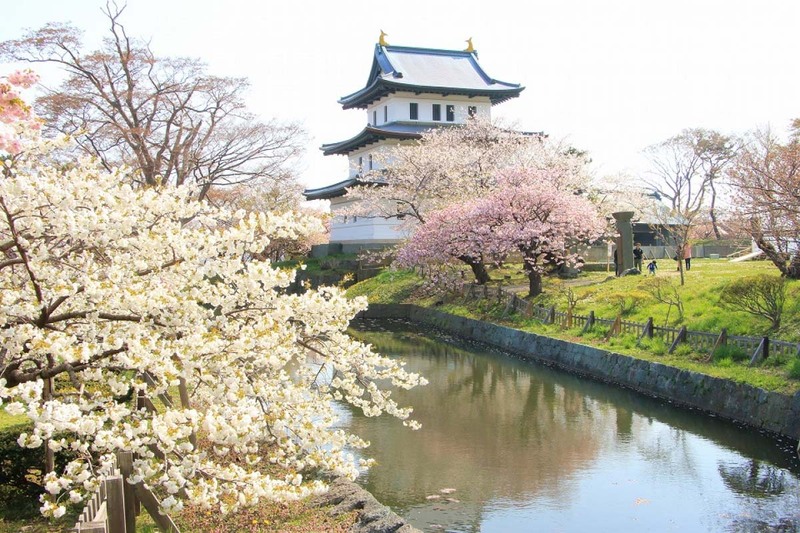 In 3 minutes by walk from the lined cherry trees, you also can visit to kakunodate samurai residence that has been selected as the one of three most famous cherry blossom spots in northern Tohoku and to view a weeping cherry there. 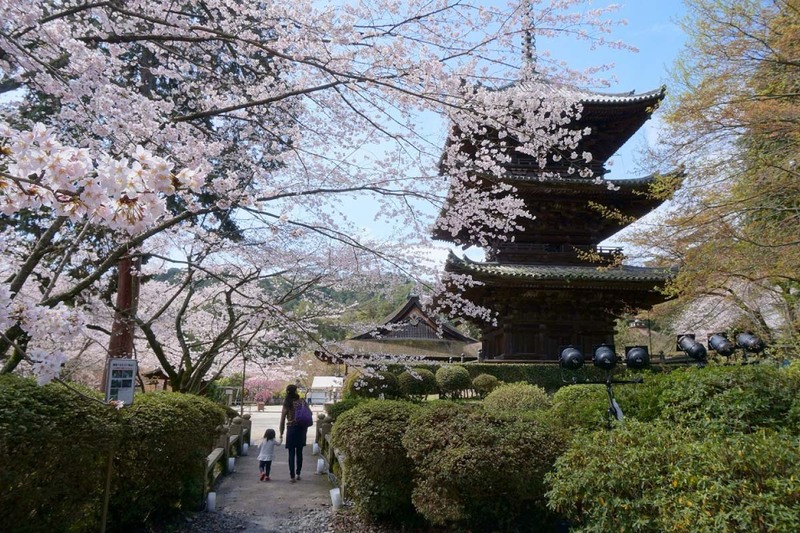 It is also recommended to enjoy the two famous cherry blossom spots in Kakunodate by strolling. 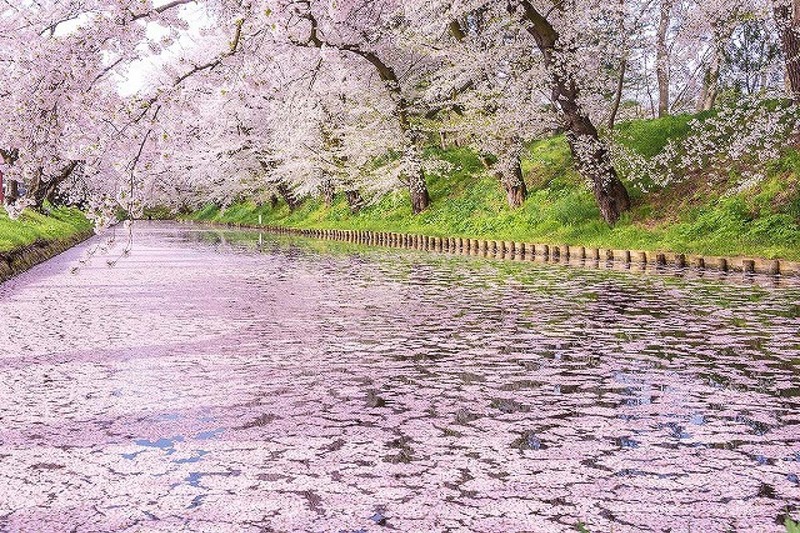 ｜People are fascinated by viewing carpet of petals filling the moat at the one of the foremost cherry blossoms viewing spots. 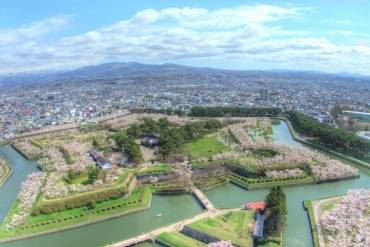 The Hirosaki park surrounds the Hirosakijo Castle and the ground expands 10 times as wide as Tokyo dome stadium (about 450,000 hectare). 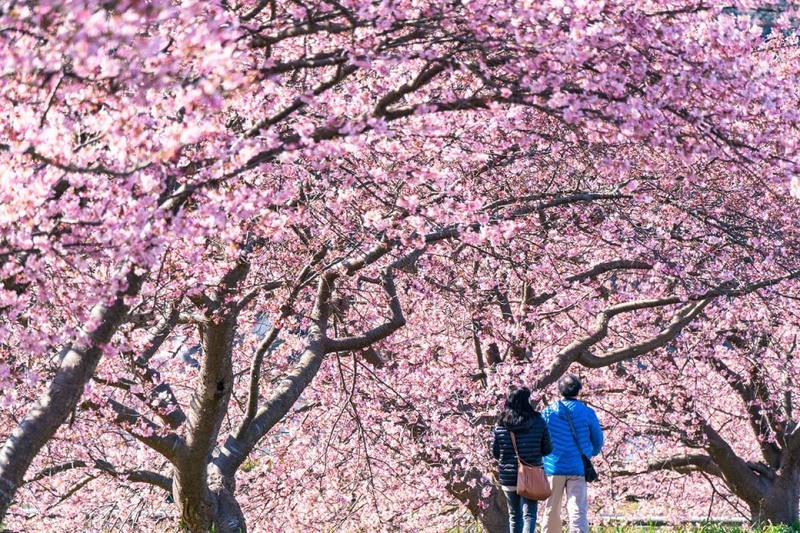 In spring, the park becomes a perfect cherry blossoms viewing spot, with about 2,600 cherry trees of about 52 species, including a weeping cherry and double cherry blossoms, in full bloom. The illuminated cherry blossoms at night is a must-see. It was introduced in “the breathtaking sights in the world I want to see before I die” and became a topic. The pink carpet filling an outer moat also becomes in a mystical mood by the illumination. 3,000 cherry trees are lined along Nijukken Douro that continues on for about 7km. Nijukken is named because the width of the lined trees is about 36m that is 20 ken. (Ken is a Japanese unit for measurement of length. 1 ken is about 1.82 meter long.) Such vast scale of the lined cherry trees are full of openness, a typical scenery of Hokkaido. 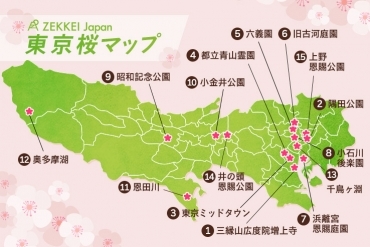 The spot has been awarded as “Hokkaido Heritage”, as “the one of the top 100 famous cherry blossoms spots”, and others. 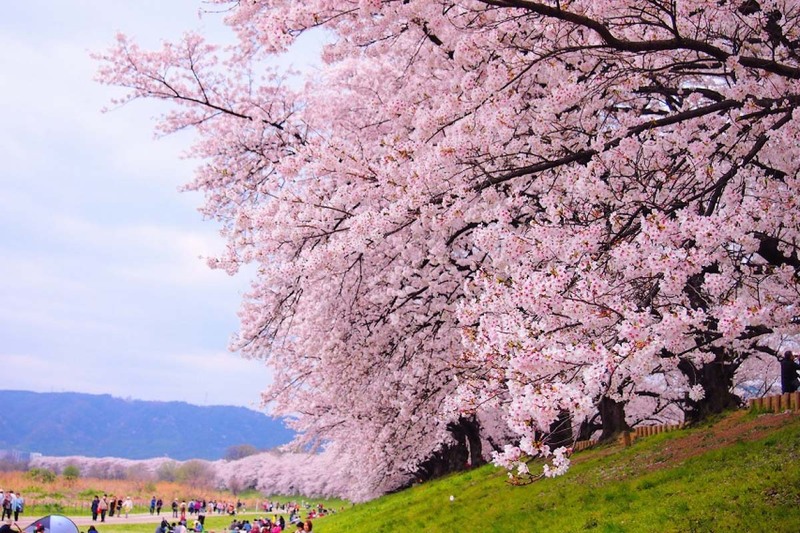 It is indeed the one of the foremost famous cherry blossoms sites in Japan. 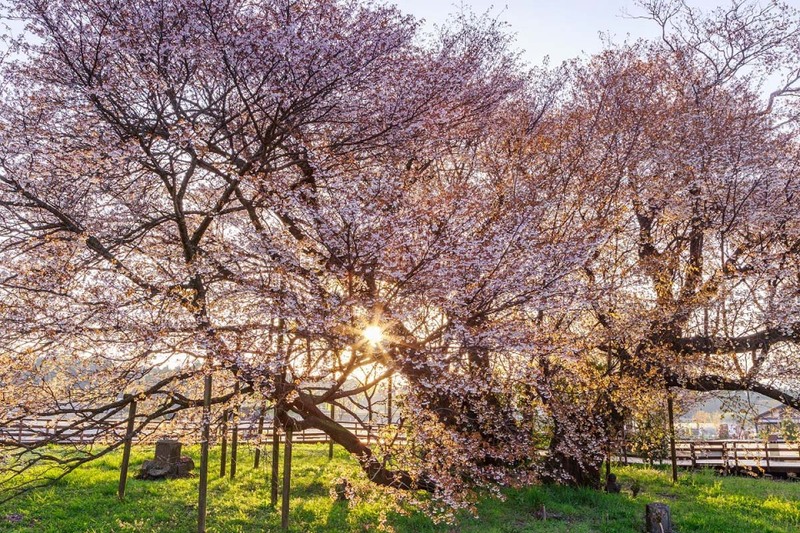 In “Matsumae Park”, selected as “the one of top 100 famous cherry blossoms spots”, about 10,000 various cherry trees of about 250 species bloom gloriously for as long as one month from late April through early June. 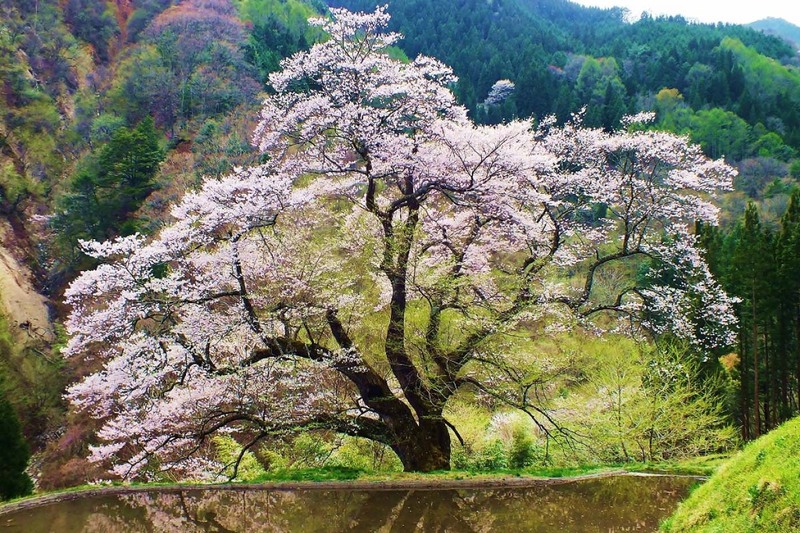 There are cherry trees of early-bloom and late-bloom species, as well as species bloom in-between. 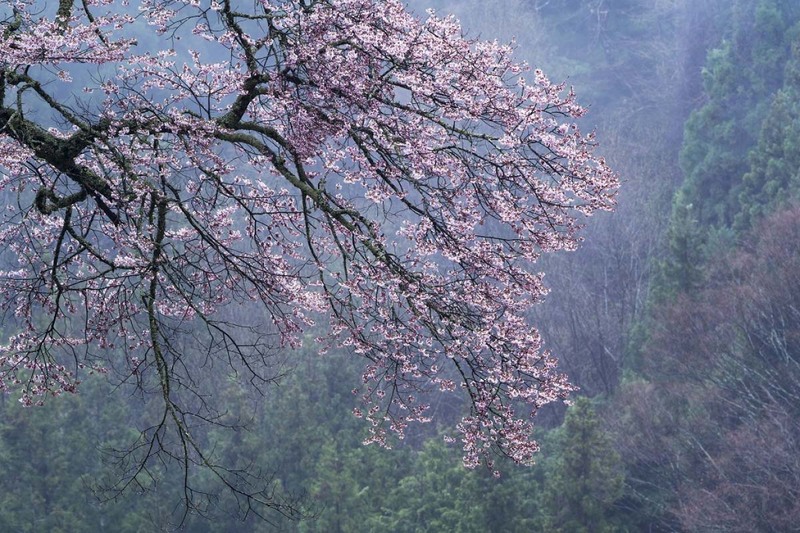 And, so I have introduced you to the blooming forecast and 24 superb view spots of cherry blossoms all over the Japan. The highlight of spring in Japan is indeed cherry blossoms. 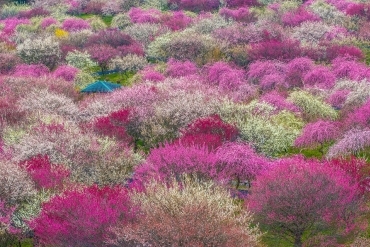 Please travel around Japan to see such beautiful cherry blossoms of a moment in superb views in spring of 2019. The blooming forecast information on the pages are made based on the publication by Qnews. Also, the forecast dates of blooming and of in full bloom of each spot show the forecast date of areas nearby each spot, not of each spot. Please note that the dates will be depended on the actual weather in the areas from now.